I have tried many torches for astronomy and almost all have been flawed in some way or another, this one however ticks every box I have ever needed and for once a sensible price. You have to cycle through white light to get to the red light which kills yours as well as everyone else's night vision around you, making for grumpy people at a dark site. 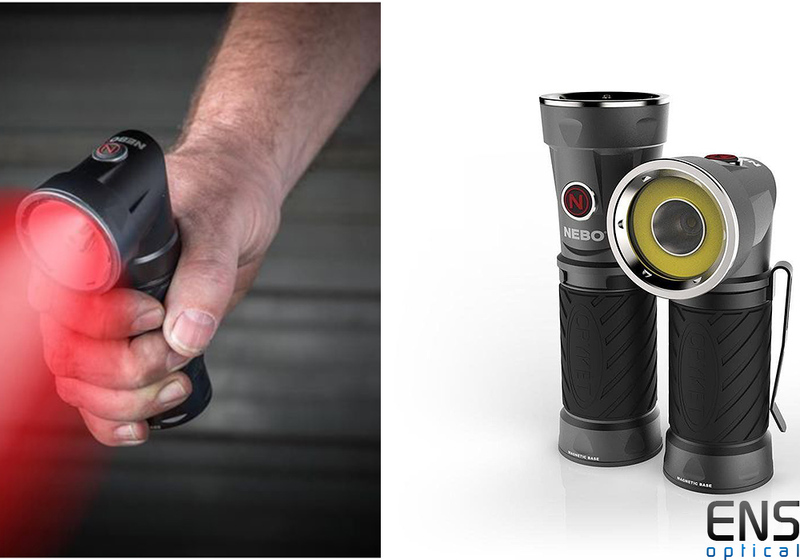 TThe BIG CRYKET™ is a versatile 3-in-1 LED light, featuring a 300 lumen C•O•B work light, a bright 300 lumen spot light and a convenient 30 lumen red light. Its unique swivel design allows the light’s head to rotate into a forward-facing light, perfect for various working conditions. The magnetic base and steel clip provide convenient hands-free lighting.